HausBau SF offers high-quality residential and commercial environments in San Francisco, California. Recognized for its stylish conversions of historic buildings and industrial-style new construction, the HausBau SF offers exceptional design for urban living. Numerous commercial spaces available for lease and for sale. Spaces from 93 to 8,500 square feet. Leases starting as low as $500 per month! Commercial Condos starting at $132,500! We certainly have the commercial space to fit your needs. Your Small Piece of the Big City! 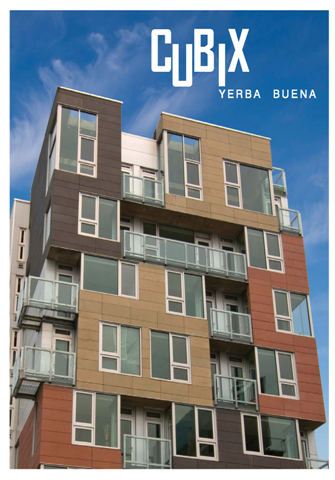 Located at the corner of 4th and Harrison Streets in the heart of San Francisco's Yerba Buena arts district, Cubix Yerba Buena is a newly constructed community featuring 98 studio condominiums with prices starting in the mid two hundreds. Each condominium features high-end finishes, such as color stained concrete floors with in-floor radiant heat, stone countertops, translucent glass bathroom doors and stainless steel appliances. The building also has a common roof deck which features three glazed sun rooms and a gas grill, making it the perfect environment for entertaining. Please visit us today..